Together with our partner organization Canarias Conservación we have conducted and published a study on stranded cetaceans in the Canary Islands and their relation to vessel-whale collisions. The results were presented at several international workshops and conferences. 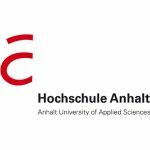 Since many years we have been cooperating with the School of Applied Science (HNE) Eberswalde, especially with the faculty of ‘Sustainable Tourism’.